Every Monday at Forest Valley Elementary School, a group of enthusiastic schoolchildren are busy training their creativity. 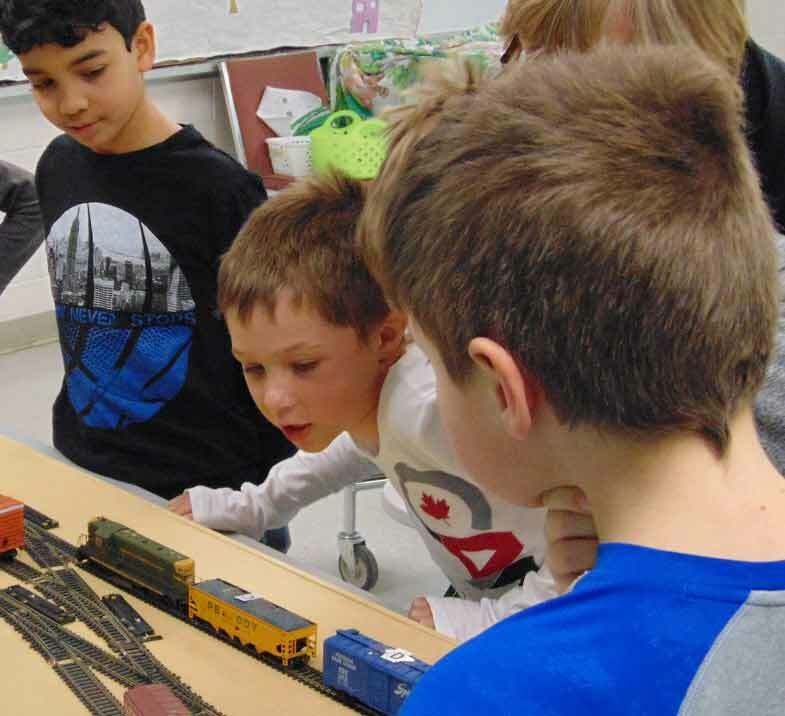 For 45 minutes in the afternoon, members of the school’s Train Club pursue their creative talents with the help of adult volunteers. To begin with, the Grade 4 and 5 students learn how to make parts of a model landscape, such as trees, rocks, and buildings. They then learn how to combine these elements with a pathway or road, a pond and other ground covers to create a scene. Once they have learned the basics, they are ready to design and make their own dioramas. At each step, the children have fun taking their handiwork home to show their parents. When Terry asks the students why they participate in the club, they bellow back, “To have FUN!” The volunteers helping the students also enjoy being surrounded by all that creativity. “It’s a real delight for the volunteers to see the children thinking, doing things for themselves,” says club organizer Terry Hill. 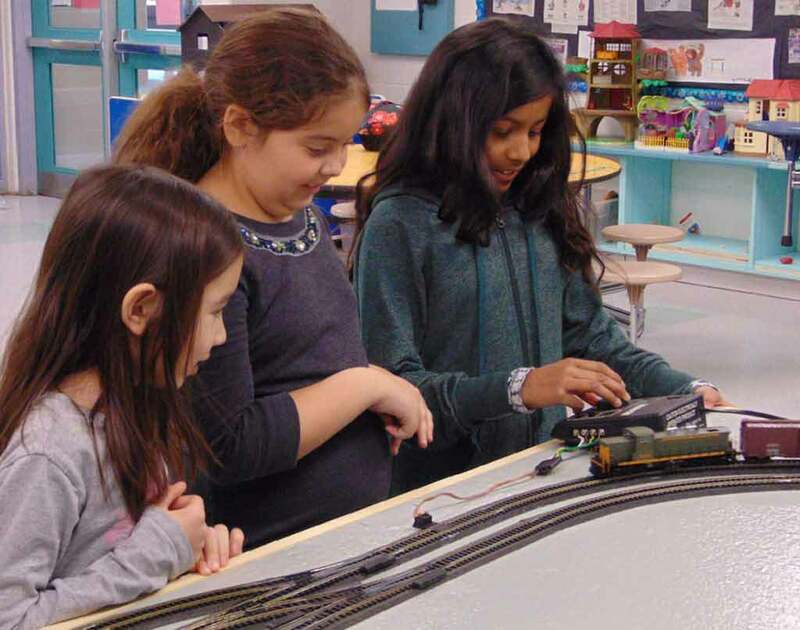 A member of the British Railway Modellers of North America, Terry has been organizing school train clubs for several years. Prior to the club at Forest Valley Elementary School, he coordinated one at Barrhaven Public School for five years. 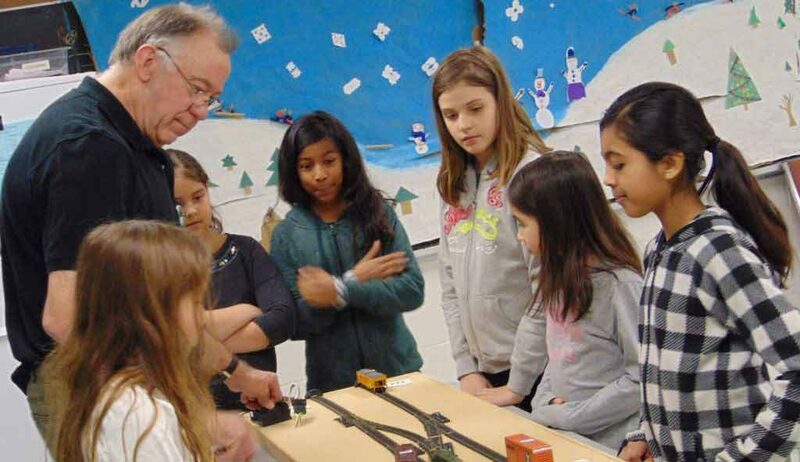 Before Terry started coordinating train clubs for young enthusiasts, he was a volunteer with the Ottawa Network for Education’s (ONFE’s) OttawaReads program, ONFE’s one-to-one early literacy program, first at Pinecrest Public School and then at Barrhaven Public School. 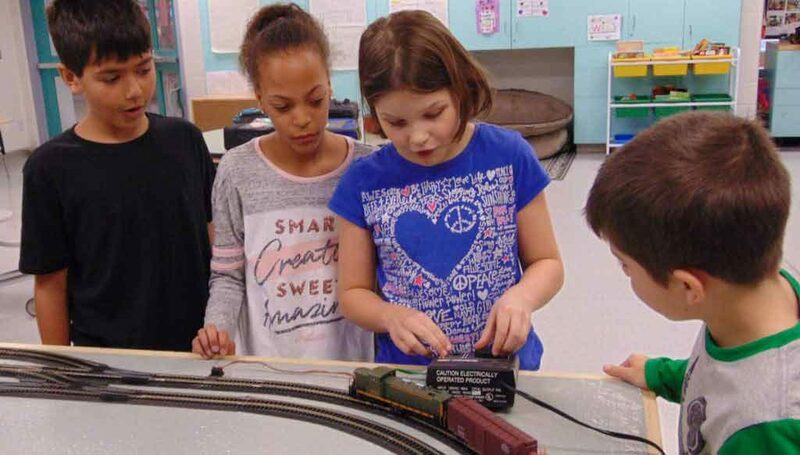 While he was volunteering at Barrhaven, he gave a presentation on his model railway hobby which captured the attention of several students and resulted in the creation of the first Train Club! This type of club would not be possible without a few dedicated volunteers. They help set things up for the students, put craft supplies out, make sure the students have the materials they need and clear everything away after. The volunteers don’t need artistic talent themselves, because it’s the students who bring the creativity. The whole idea is to help students explore their interest in a hobby and develop their talents. The adults are there to encourage the students to use their imagination and freely express their creative spirit. “One time we had a farm scene but no hay,” Terry noted. “One of the students declared, ‘You can’t have a farm without hay!’ She ran outside with a couple of friends and came back soon afterward clutching a handful of grass. You get a real boost seeing that light bulb go on,” observes Terry. The Train Club would welcome a few more volunteers. The session with the students runs from 1:15 to 2:00 p.m. on Mondays. If you want to engage with some enthusiastic youngsters, please get in touch with Terry at forestvalleytrainclub.gmail.com. The more volunteers get involved with the club, the more it can grow! If you know someone who might be interested, please let them know about this opportunity. Please note that all volunteers must be screened through ONFE. Apply online to volunteer at www.onfe-rope.ca/OVIE/application and choose Forest Valley Elementary School. Like what you read? ONFE is always recruiting volunteers! Whether you have an interest in tutoring math, helping children develop a love for reading or supporting students in French immersion programs, we guarantee that you’ll find a volunteer opportunity to suit your needs, interests and schedule. Sign up to one of our upcoming volunteer workshops today to make a difference in a child’s life tomorrow. These photos sure make it look quite a treat to spend time with the young students at FVES! !